This true all-in-one system covers all needs of your daily business. 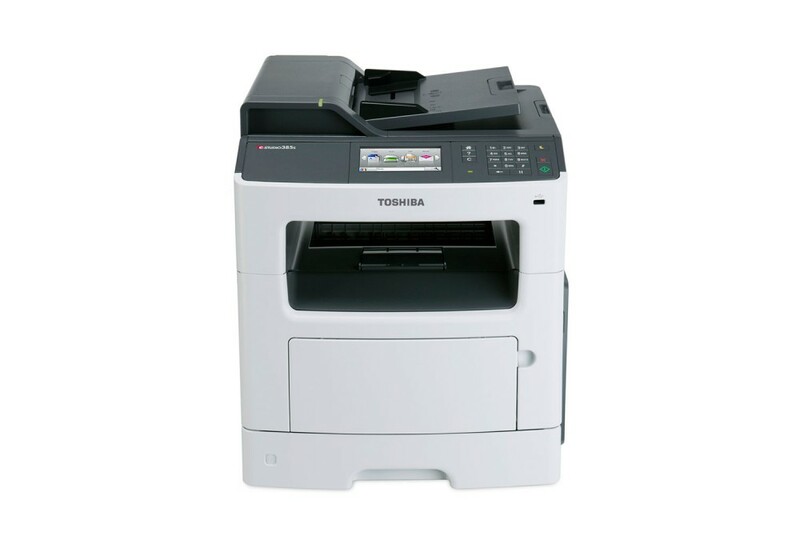 Whether you want to print, scan, copy or fax – the e-STUDIO 385s can do it all. You can rely on the performance of the system and benefit from increased productivity. Thanks to the resolution of up to 600 x 600 dpi your colour scans will be just as impressive as the monochrome prints and copies. Your images, graphics and text will meet even the highest quality expectations. Protecting the environment is important to us. Therefore we make sure that our systems meet the strictest environmental standards to ensure a greener tomorrow. The A4 monochrome e-STUDIO 385s offers print, scan, copy and fax functionality all-in-one to cover the needs of small to medium sized offices. A large colour touch screen provides easy access to all functions and is intuitive to use. This lets you be more efficient and saves time. Caring for the environment is important to us. Built-in duplex printing and standard energy saving modes help save valuable resources.